Legal education plays an important role in promoting social justice. To enhance the quality of legal education, it is necessary to focus on thousands of law colleges in small towns and mofussil areas, by looking beyond the national law schools. Law colleges of such cities do not have the proper infrastructure and systems for training students at par with law students of national law schools and famous private law colleges. Hence, it is necessary to address certain specific areas of concerns in small-town law colleges. 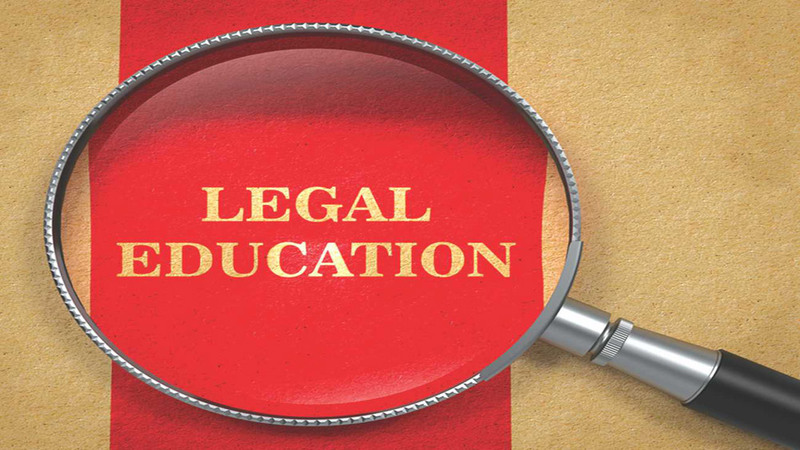 Here are some major challenges in Legal Education in India. Moot court experience is necessary to provide practical experience to law students. Limitations of participation in moot courts leave some people too far behind the curve. Many colleges do not have a guided system for mentoring their moot court teams. This may not make a lasting contribution to a student’s life. Nowadays, the students are participating in international moot competitions. Thus, to train these students up to the level to compete with students in developed countries is a great challenge for law schools. Internships are necessary before entering in any field. It helps the student to gain exposure and learn professional skills. While many lawyers want to contribute to the society by teaching and grooming the future lawyers, most of them are not willing to hire interns. This is because most of the students lack basic formatting, research and presentation skills. An intern without elementary professional skills and subject knowledge will be a burden to the legal practitioner. Hence, it is necessary to impart some basic skills in college, before setting out the students for internships. With the evolution of technology, the field of education has drastically changed. Use of technology, especially in small-town colleges, is found to be minimal. Thus, it is impacting the overall quality of legal education. The absence of use of advanced technology is one of the major challenges in legal education in India. It is essential to use advanced tools and techniques of teaching such as the use of advanced skills in MS Word, Excel, tools like Grammarly, Google Keep, Google Calendar to schedule meetings and reminders. It will make it more interactive and interesting for students. Another issue in the legal education in India is lack of researchers in law and absence of due emphasis on research and publications in the existing law schools. This has led to the absence of an intellectually vibrant environment. Research can contribute significantly towards improvement in teaching and, more importantly, addressing numerous challenges relating to law and justice. If one is to look at the faculty profile of the world’s top law schools, he/ she will find that there is great emphasis on research and publications among academics. But in India the research initiates in legal fraternity is not at par with other disciplines.